In Teshin’s Conclave Tenno must constantly be aware of their environment. 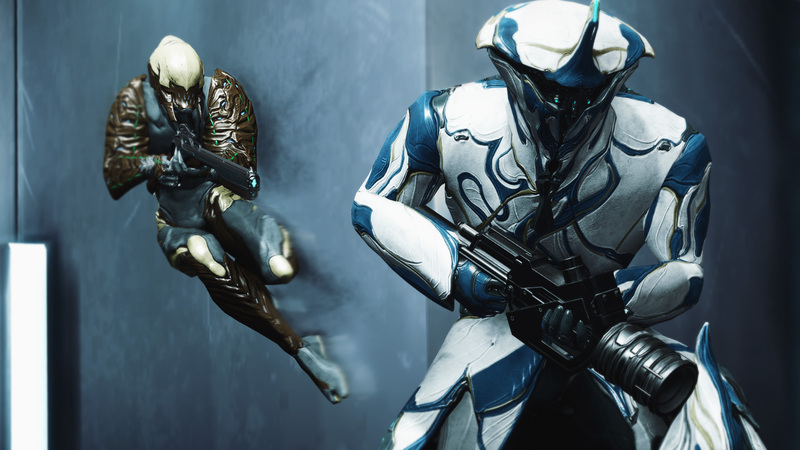 Testing your skills against other Tenno can open your eyes to new styles of combat, or can help hone your talents against more deadly opponents. The Conclave is meant to push Tenno to the limit of their abilities, but that doesn’t mean it shouldn’t be a fair fight for those first learning the basics. ‘Recruit Conditioning’ is a new way to bracket beginner Tenno into matches amongst peers of equal experience as opposed to veterans. 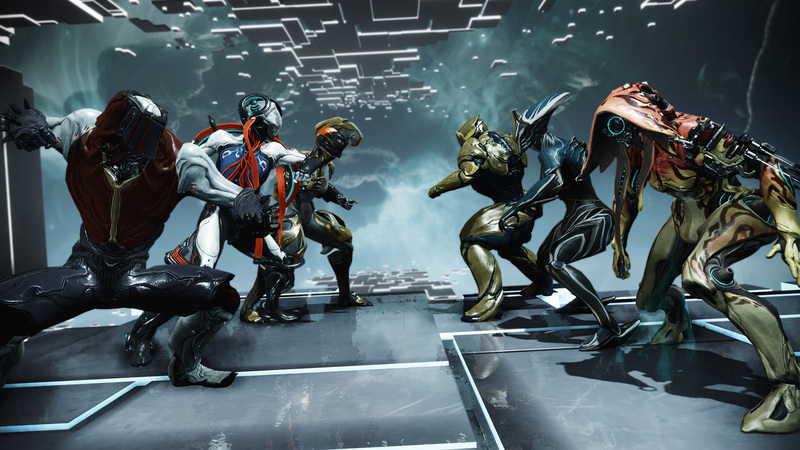 It will help players that are just learning the basics of Conclave fight on even ground with their fellow Tenno, and will be turned on by default for all players with a Mastery Rank of 2 or less. This special feature will disable all Rare Mods in Conclave for those who have it active, and will match players up against other Recruits that are just getting their feet wet in the competitive arena. Those feeling extra bold can freely disable Recruit Conditioning in their options menu. Being crowned the victor of Annihilation means you’ve not only proven your mastery of the Ways of Old but you’ve done so in the chaos of a truly unpredictable battlefield. But sometimes it’s also nice to hone your blade against a single opponent. 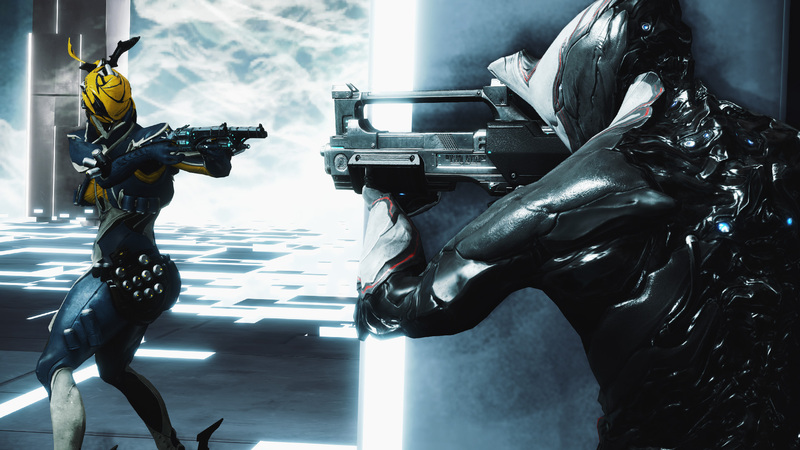 Many veteran Tenno are familiar with Dueling, but have yet to be given the opportunity to test their 1v1 skills in our updated Conclave maps. With this new update, bowing at an opponent in Annihilation will give them a brief window to respond with an ‘Agree’ emote. Then, the duel begins. In a duel, players will have their health, ammo, and shields restored to maximum and they can only damage each other for the next 2 minutes. Their energy will also be adjusted, automatically set to 10, so that no player has an edge over the other. Deciding which Warframe to use in Conclave is a tough choice, and we’re happy to say that choice just became a little more difficult. As of 18.5 all Warframes will be available for use in Conclave with Abilities and traits balanced for use against other players. The Proxy Retribution Bonus Weekend! Using Discord Voice Chat is a requirement to join Evil Monkeys.